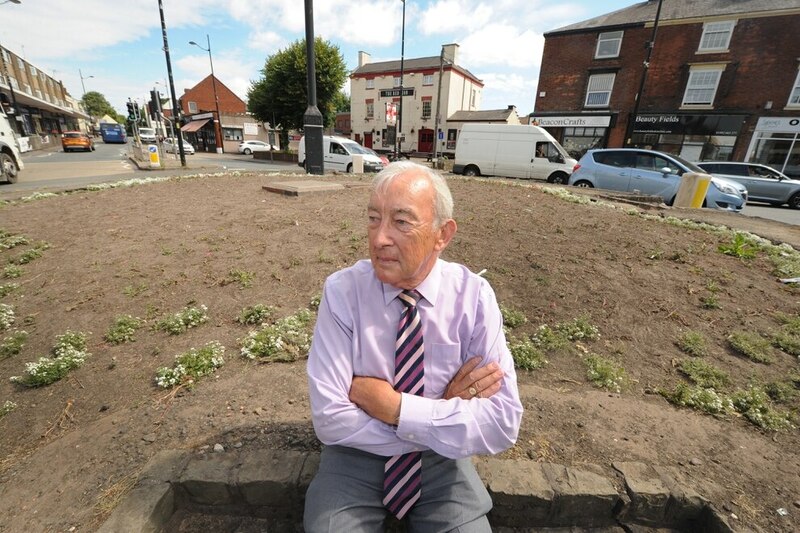 A councillor is disgusted after a focal point of his ward has been left trashed – with no sign of restoration. 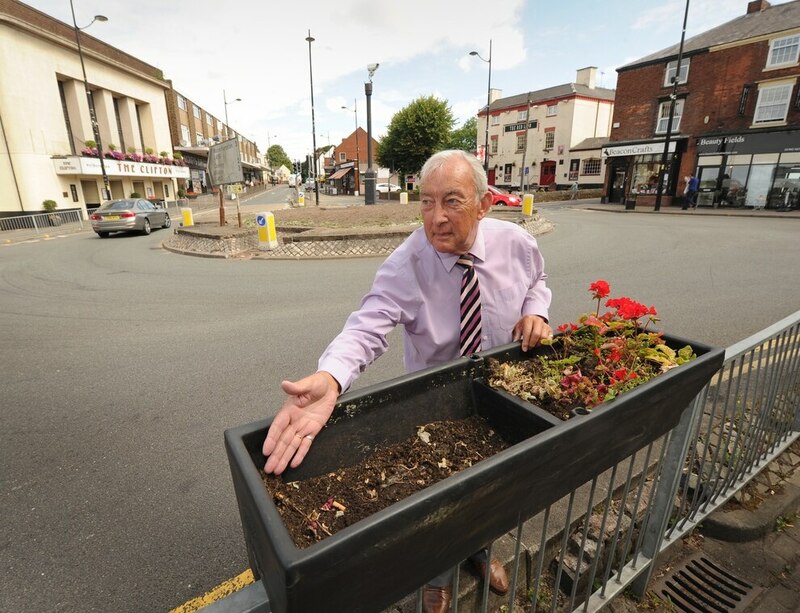 Councillor Michael Evans, of Dudley Council, has been left ‘extremely frustrated’ after a flower bed in his ward of Sedgley was destroyed, with a solution yet to be made on its restoration more than three weeks later. 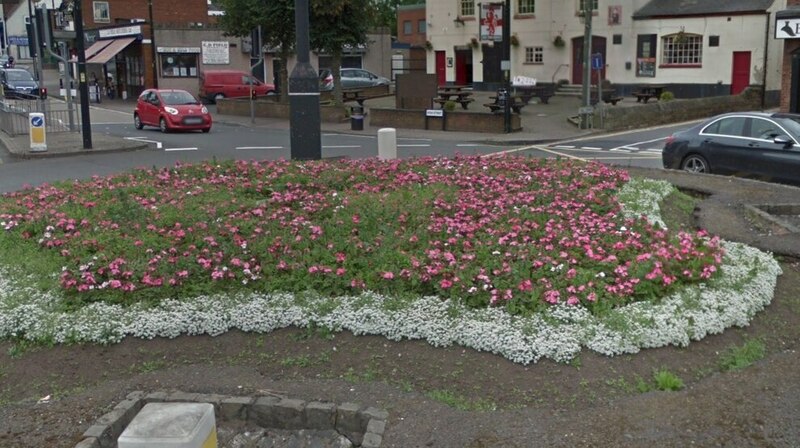 The colourful exhibit on the Bull Ring island off Dudley Street and Gospel End Street was only planted four months ago and was part of Sedgley In Bloom, before it was ruined. Baskets were pulled out and emptied and the flower bed covering the island was trampled. 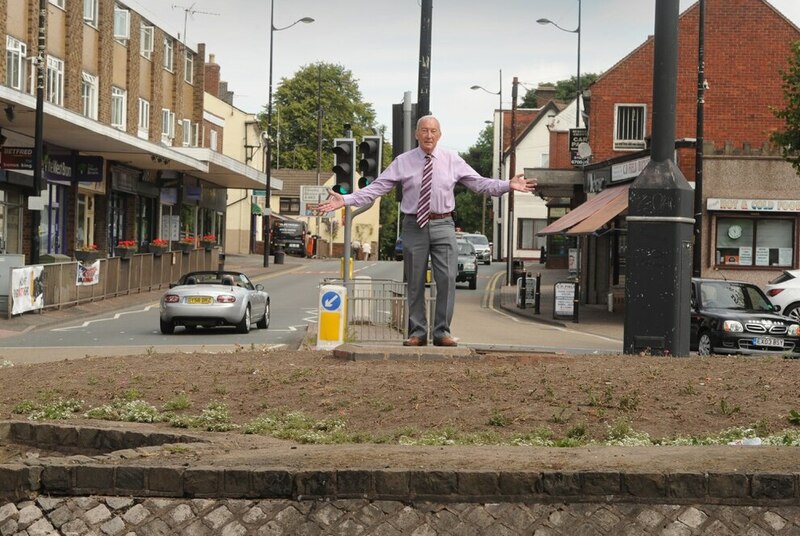 Councillor Michael Evans said: “I’m extremely frustrated with the situation, it took a lot of time to make this picturesque display and now it’s ruined. 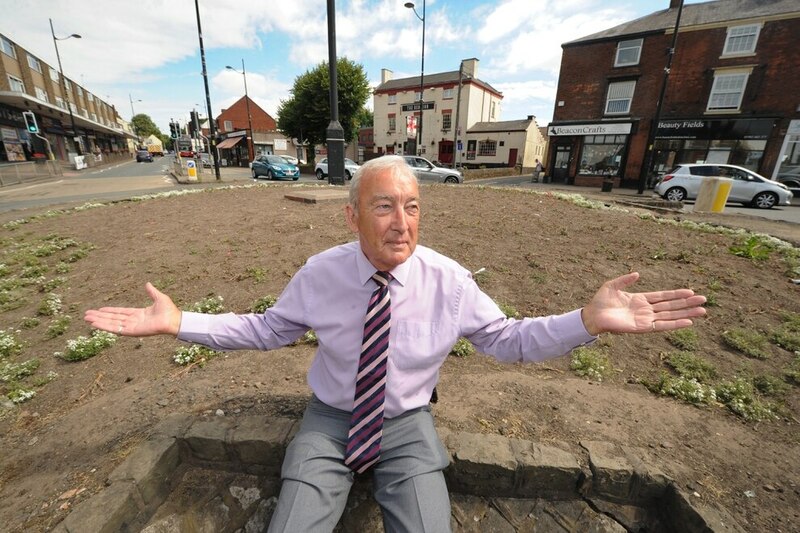 “The people of Sedgley deserve better. The yobs can’t get away with this, there’s no excuse for a complete lack of respect shown. “It will now cost £3,500 to replace the display and that is where I’m most annoyed. 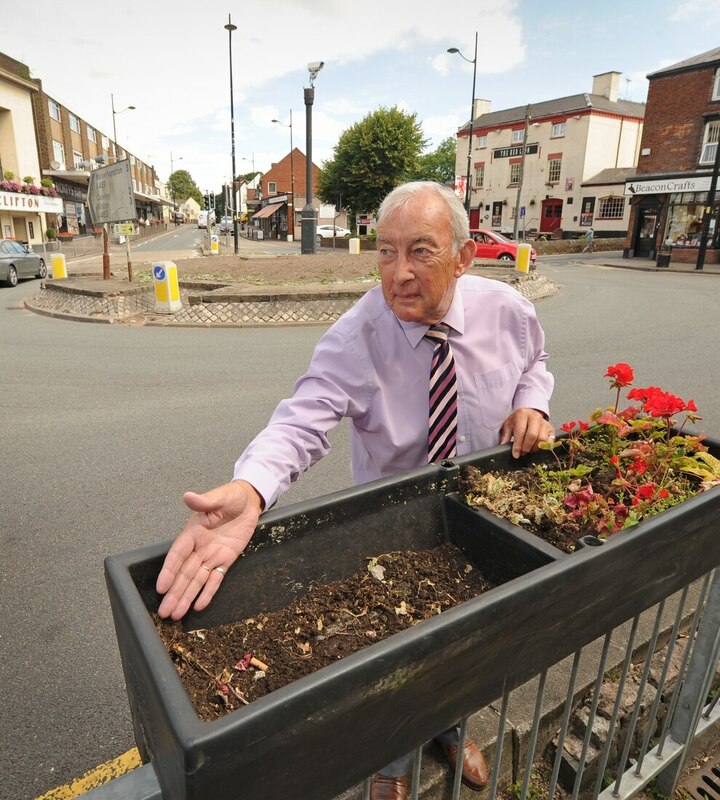 “We take pride in Sedgley and in keeping it clean and tidy and it’s all been trodden away. “It will have to come out of the council budget if we can’t raise funds in other ways, but we are looking at raising it through a community forum. Personally I’d like to see the people responsible come forward and pay for it themselves. “The Bull Ring island is right in the centre of Sedgley and is the mouthpiece of the town. 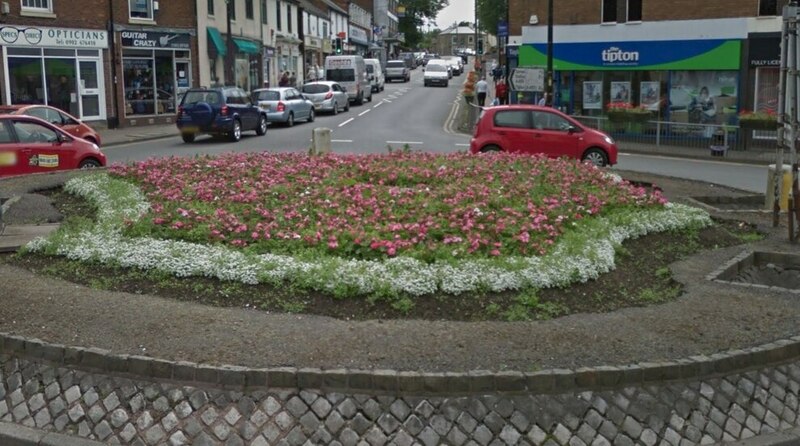 “The flower displays were absolutely wonderful and for someone to do this is completely wrong. So many people work hard to make Sedgley a more appealing place and a tremendous amount of work has been done. It’s believed that the damage was caused by jubilant England fans following their quarter-final World Cup win over Sweden on July 7. 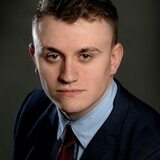 Trainee reporter at the Express & Star, primarily covering Wolverhampton. Got a story? Get in touch on 01902 319688.